One third of gastrointestinal stromal tumors (GISTs) occur in the small intestine, making it the second most common site for them. 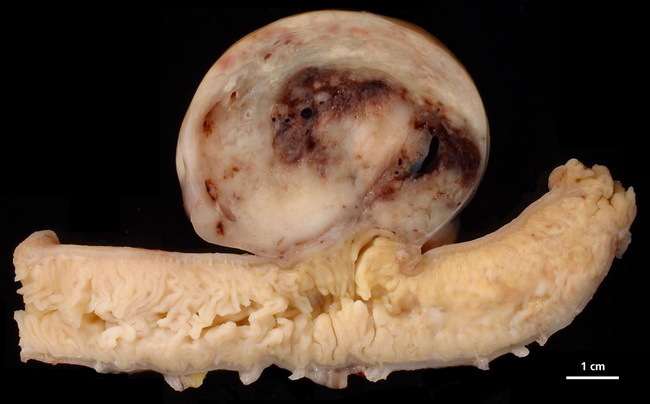 As with other sites, it is a firm, rounded mesenchymal tumor that typically arises from the wall of the intestine. Most GISTs have a mutation in either CKIT or PDGFRA. Image Copyright: pathorama.ch.